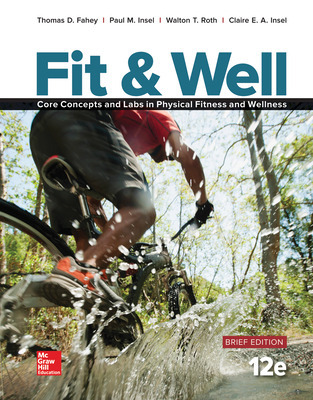 –This BRIEF edition of Fahey, Fit + Well contains 8 chapters (the FULL edition contains all 15 chapters). If your instructor requires Connect or if you are interested in an eBook version, use the Connect online access ISBN: 9781259751288. For instructors placing bookstore orders of the Connect Access Card, use ISBN: 9781259751271. - Provides accurate, reliable, current information on key health and fitness topics while also addressing issues related to mind-body health, research, diversity, gender, and consumer health. - Builds research, critical thinking, and behavior change skills through engaging self-assessments, video activities, sample programs, and tools and tips for making positive changes.